Even as a Trevecca undergraduate, Josh Durham was working to build Weighting Comforts, a company he founded with his mom, Donna—a graduate of Trevecca’s master’s program in marriage and family therapy—to sell weighted blankets designed to improve sleep and ease anxiety. As a business management major, NCAA Division II track athlete and student body vice president, Durham juggled it all. 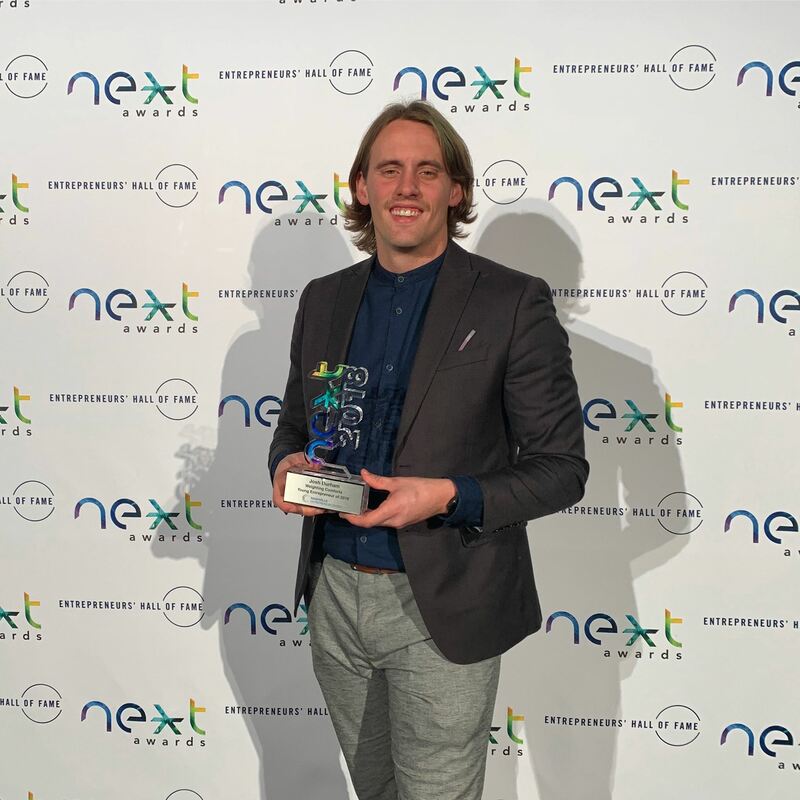 Last week, the 2017 graduate’s hard work paid off: he was named 2018 Young Entrepreneur of the Year at the Nashville NEXT Awards and named to Forbes 30 under 30 list for 2019. Durham currently serves as CEO of the company he and his mother founded in 2015. Nominated as Nashville NEXT’s Young Entrepreneur of the Year twice before, Durham said his previous nominations only made the announcement at this year’s award ceremony, held Nov. 7, even sweeter. Almost a week later, on Nov. 13, Durham received a text notifying him he’d been named to Forbes 30 Under 30 list for social entrepreneurs. The list, compiled each year by Forbes, features 600 entrepreneurs in 20 industries. Durham was featured alongside other young entrepreneurs, including Aviva Paley, cofounder of Kitchens for Good, and Daniela V. Fernandez, founder of Sustainable Ocean Alliance. Durham, 23, was among the youngest social entrepreneurs to make the list—and chosen from an initial field of 15,000-plus nominees. While Durham says he’s careful not to find his validation in awards, he was excited and honored by the accomplishment. While accolades are exciting, Durham said that he wants to stay focused on Weighting Comforts and the work the company is doing. On track to generate $8 million in revenue in 2018, Weighting Comforts creates weighted products, but also provides jobs for refugees. As demand for weighted blankets grew, Weighting Comforts partnered with Sew for Hope, a nonprofit that provides sewing machines and sewing classes for international refugees who have resettled in Middle Tennessee. The company now employees about 50 refugees. In addition to providing jobs, the Durhams’ company also sponsors English classes to help refugees integrate culturally. It’s a benefit they’ve been offering for about two years. The goal of it all, Durham says, is to help refugees become self-sustaining. You can learn more about the Durhams’ company, Weighting Comforts, at their website.